Home LISTEN! 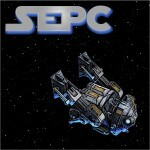 SWTOR Escape Pod Cast 94: Stronghold, Togruta, and PVP in 3.3! SWTOR Escape Pod Cast 94: Stronghold, Togruta, and PVP in 3.3! This week @AIESema, @MaxTheGrey and Astromech EPC-94 talk about the continuing news on update 3.3. We give our thoughts on the Yavin Stronghold, Togruta race, and PvP updates. We also cover other game news for the week from SWTOR in general and from our guild, Alea Iacta Est. SWTOR Escape Pod Cast 95: Canon with Redna and Ordoo!